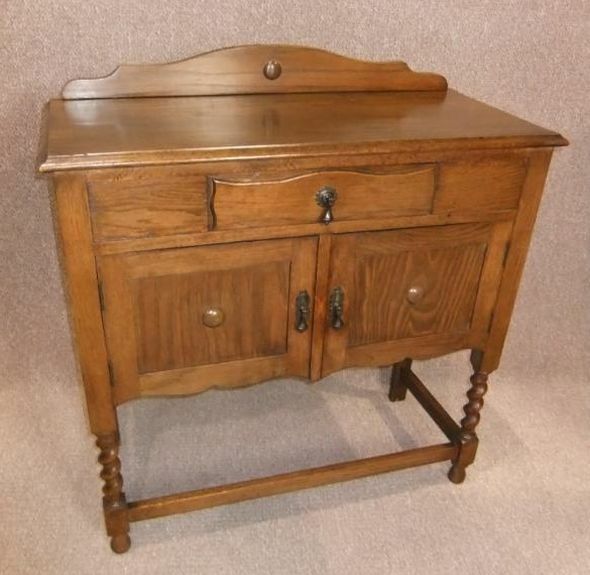 An attractive circa 1920s solid oak sideboard; featuring a single drawer to top and twin cupboard doors to base. This item has recently been removed from a local house clearance, where it was used as a small telephone table. The item is in good condition for its age, and in a medium oak colour. The base of this cupboard has been replaced during its lifetime, but it is still an extremely useful and practical piece of furniture for any period property. Please be aware that this 1920s oak sideboard is an old piece of furniture, and will have marks and blemished to the polish work.